Dumfries’s Scott Beveridge returned to Reivers action this week with games against the Highlanders in the North Seas Pro Series. 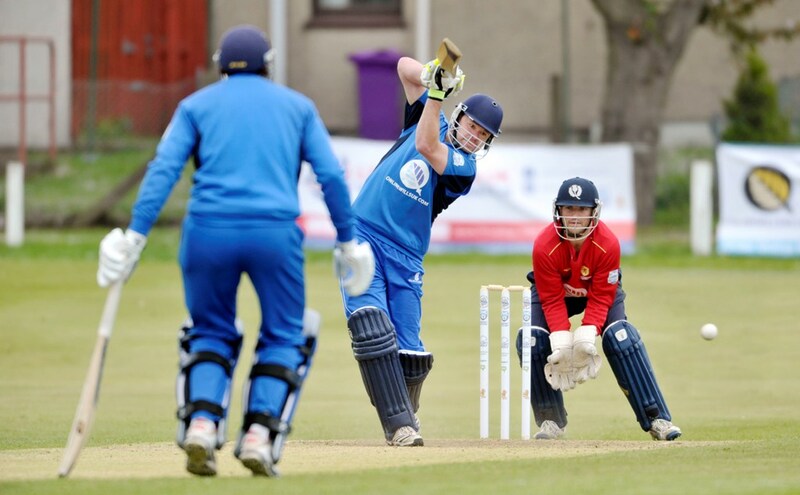 On Monday at Arbroath the Reivers posted a low score of just 82 for 9 in the Twenty20 match. Beveridge took a brilliant running catch to help dismiss Goudie but the Highlanders reached the win rapidly for the loss of just three wickets with Scotland’s Man of the Match against England, Michael Leask, smashing 44 not out off 23 balls. The Reivers were unable to take revenge in Tuesday’s 50 over match, losing by four wickets. Beveridge contributed with a wicket and five boundaries in a quickfire score of 28 at the end of the Reivers innings to boost the total up to 173 all out. The Reivers and the Highlanders are both in Dumfries , at Nunholm, on the 2nd and 3rd June. On the Monday they play a Twenty20 match starting at 3:30pm, and on the Tuesday the 50 overs match starts at 10:30am. 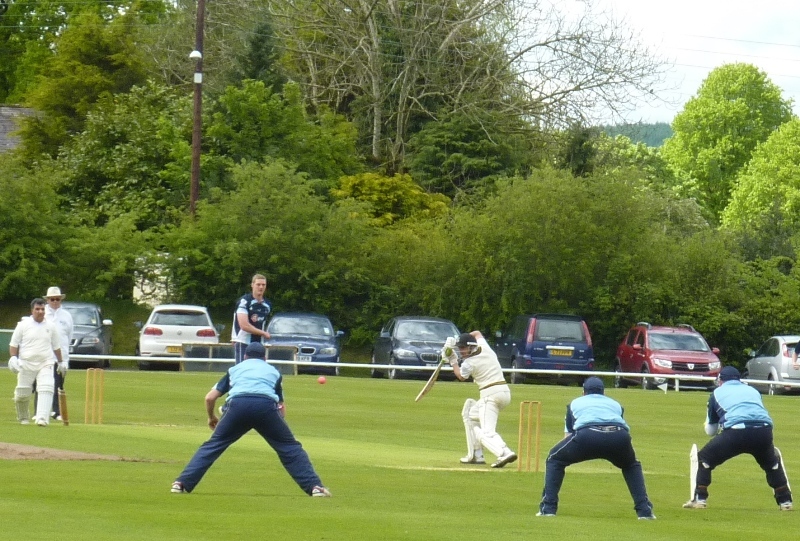 At the weekend, the matches for the Dumfries sides were curtailed by the weather. The Stafforce Dumfries fixture at home against Prestwick in the CricHQ40 Cup was cancelled, as was the match for Eco-Genics Nunholm away at Prestwick in the Western Cup. However both sides progressed through the group stage with the Dumfries 1st XI drawn at home against Ferguslie on Sunday the 8th June. On Sunday, it was pink ball cricket in the Scottish Cup. The match at Nunholm against Poloc got started with the opposition having a good start to be 61 for 1 after nearly 12 overs. Chris McCutcheon claimed the one wicket to fall, lbw. However a rain interruption and later a violent hailstorm put paid to the game The replay is at Poloc on Sunday. This Saturday, the West Premier league commences with Dumfries away at East Kilbride and Nunholm playing at home against East Kilbride 2nds in the Reserve League. Junior coaching sessions are in progress at Dumfries Cricket Club for the summer on Mondays, 6:15-8, for boys and girls, suitable for ages 8 to S2. For details contact Trefor Williams on 01387 256455, or the club on dumfriescricketclub@gmail.com or 07799 856094, see www.dumfriescricketclub.co.uk , or come along to Dumfries Sports Club, Nunholm on the night.